Many moms-to-be struggle with that overwhelming feeling of anticipation for their little miracle to come to life. Let’s say you just found out you’re going to have a baby girl. 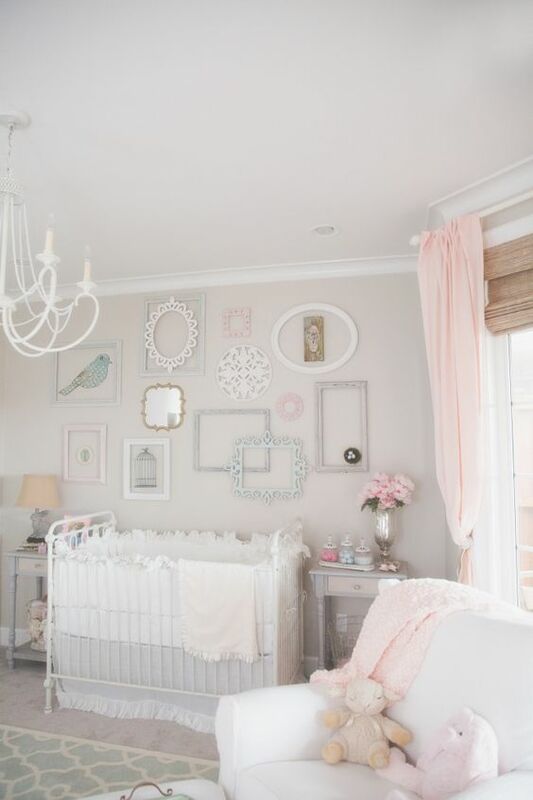 One way to ease that crazy butterfly in your stomach is to start designing your baby girl nursery. This will help time to go faster. You start thinking of ideas, getting that Pinterest board all filled up, thinking of color schemes, etc. 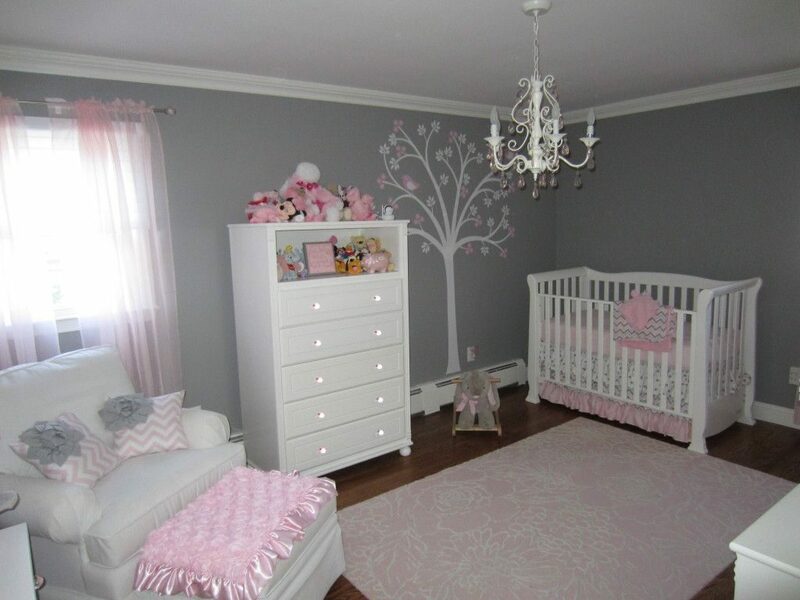 Trust me, you will feel even more connected to your little princess as you start designing her baby girl bedroom. Elephants are super fashionable right now. 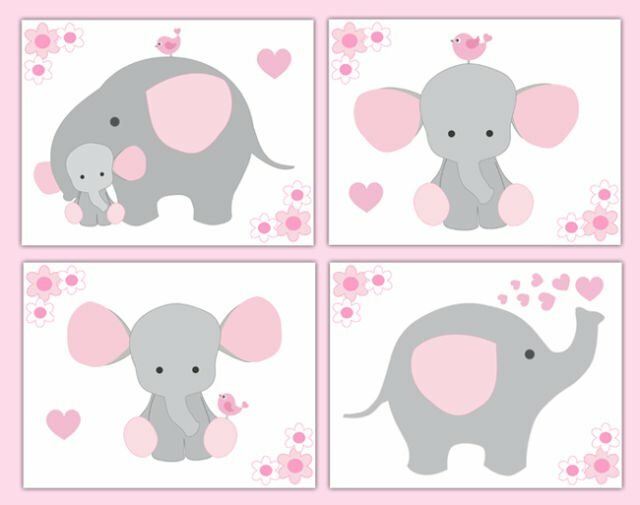 You can basically buy every single baby nursery décor piece in elephant themes these days. 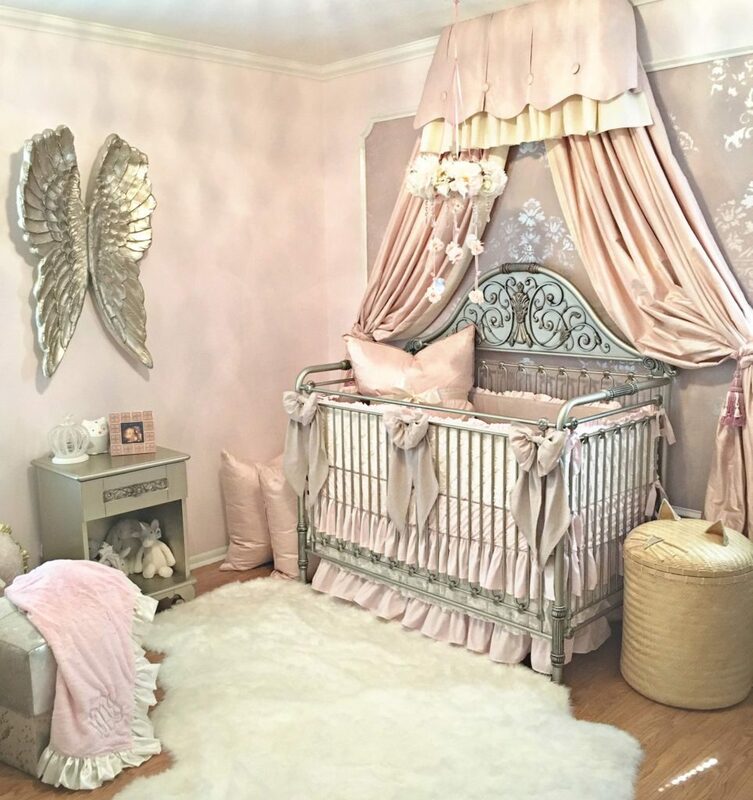 You can find everything from baby bed sheets to breastfeeding pillows within the theme. Even if you are not going to go all the way with the elephant theme, any of these décor pieces are super adorable on their own. The owl nursery is actually one of our favorites. It creates that cozy naptime feeling that can really make a difference when you are trying to sleep train your baby. Much like the elephant themed, you can also buy all things owl. 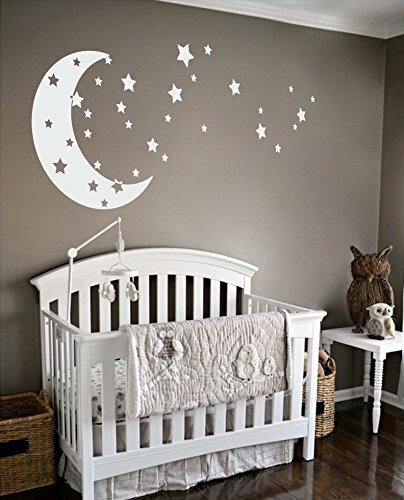 But the reason why this is one of our favorite nursery themes is that you can find so many adorable wall decals and wallpapers. This is an adorable option that is not usually considered for baby girls. But we found that if you go for lighter blue tones or maybe even turquoise. Just as before, this theme has a ton of cute wallpapers to go with. Turtles, wales, dolphins, there is a literal ocean of possibilities. Your baby girl will feel like she’s on the cast of Downtown Abby. This if for you who is really in the mood to glam things up. 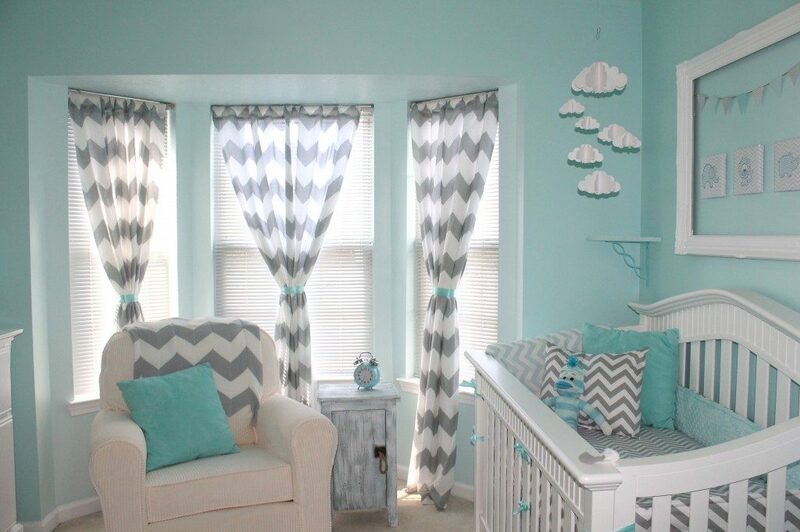 A way to nail this theme is to combine nice looking curtains bye your baby crib. The color palette for this theme tends be around the light pink or even the pastel group. Make sure to sprinkle some vintage furniture, like mirrors, breastfeeding chairs, etc. This is by far one the most popular color combos for baby girl nurseries at the moment. The gray and pink balance out each other and you can ease out the gray with some cute white wall decals. This color scheme works great with the elephant theme. You can easily find some amazing art work, bed sheets, and accessories that will fit right in. 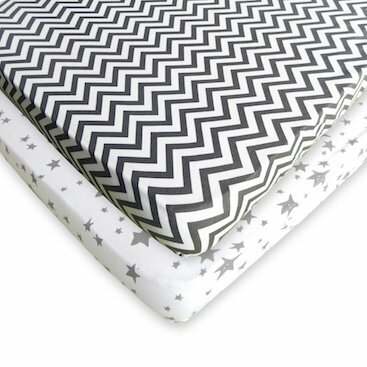 When it comes to baby bed sheets you have to incorporate some Chevron in it. It just works perfect with this color scheme. 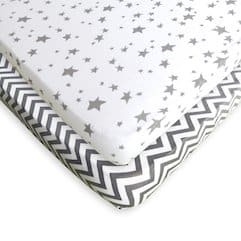 Have a look at our pack n play sheets or mini crib sheets for some nice gray chevron that even comes in a 2-Pack with an adorable gray star print companion. Think soft and stylish but with that little hint of rustic and rough. Enough so that it actually complements the softness. When designing your color palette, you should go for that light pinks complemented with neutral colors and light pastels. Another one that has become quite popular recently in 2018. 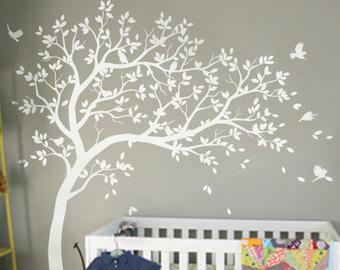 You can find beautiful wallpapers, artwork, lamps, baby bed sheets and a lot more. It works great also with the gray and pink color scheme. When you combine that farmy rustic look with some soft touches, the result can be pretty incredible. 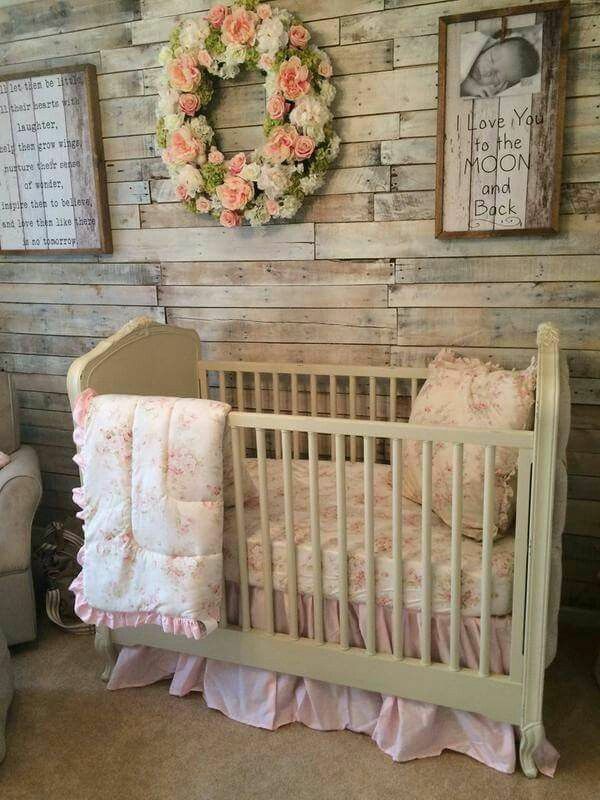 Make sure to use some charming bare wood furniture combined with some lacey baby bed sheets. Flowers are also a great choice here. There is enough room to be creative. Yes. You read it right! Who said boys got a monopoly on the color blue? 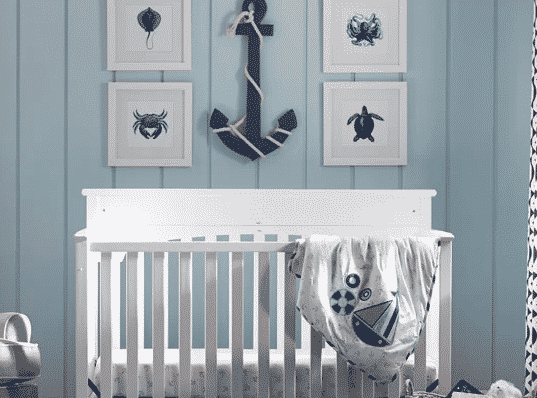 There are many instances of adorable blue baby girl bedrooms out there. One idea is to make it sky themed and use those thick white clouds standing out on a blue wall. Another possibility is to go for light blue tones, turquoise and baby blue. Here is another time where the gray chevron bed sheets would work great. 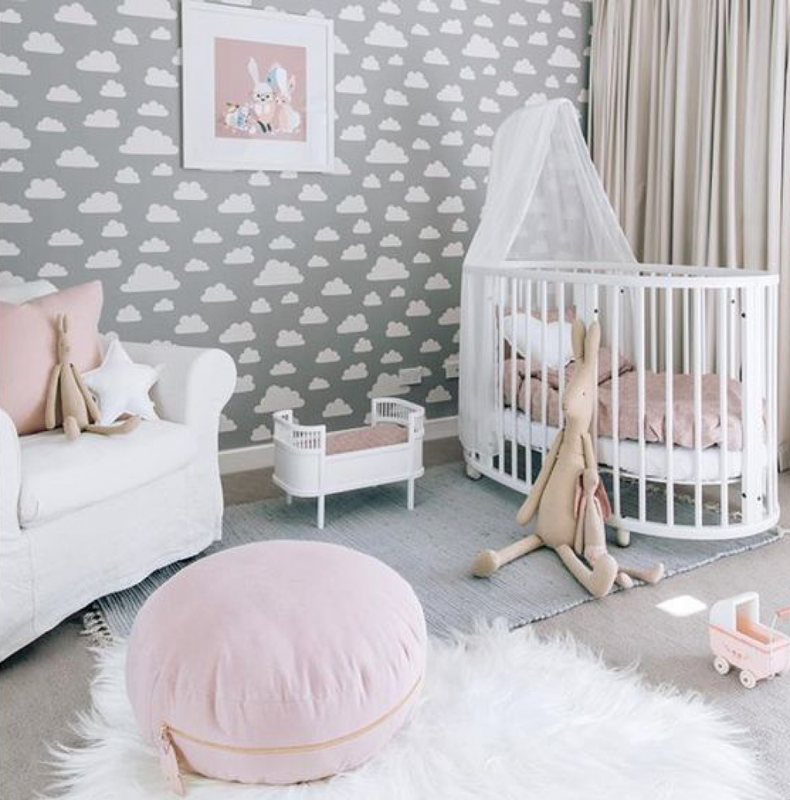 If you are going for that tranquility and coziness that simply inspire your baby to sleep through the night (a parent can wish! ), then this is for you. It is important to highlight the moon and some white stars. If you’re going to go with the gray wall, make sure to sprinkle some light pink to go with the gray (You might have noticed by now that pink + gray is our current favorite). 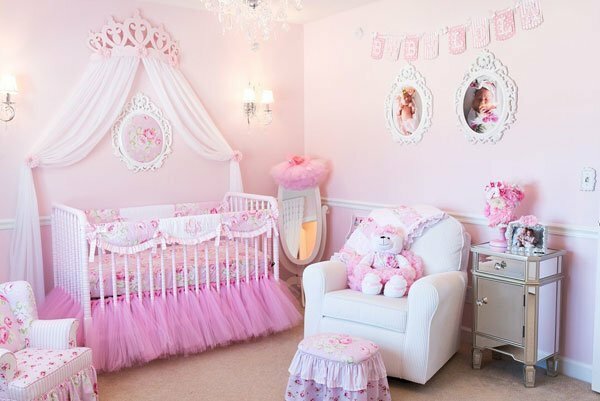 Princess baby girl nursery theme. Honestly, we didn’t want to go there as it is a cliché. But I guess every cliché does exist for a reason. 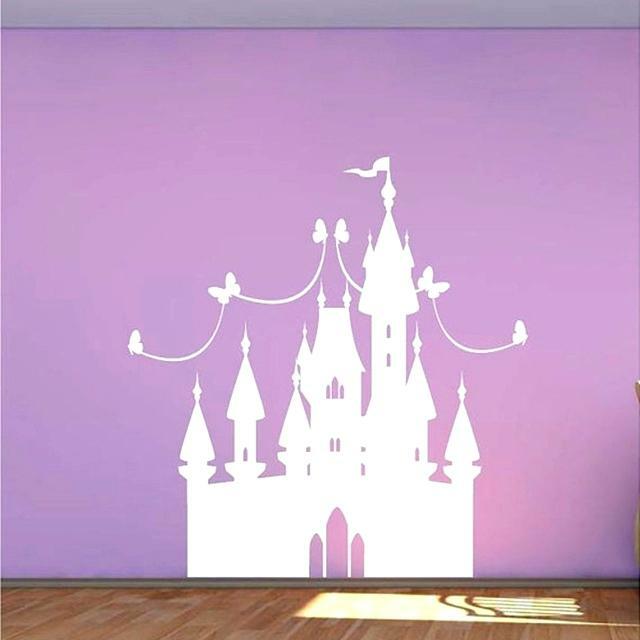 The Princess baby girl room isn’t going anywhere, and many parents still love to Disney it up on their baby girl bedroom. A good thing here is that you don’t need to even think of overdoing the pink. Just go for it. And do use several tones. But remember, you don’t need to go with pink. Purple works equally great here. Beautiful purple adornment for the princess theme. There you have it. 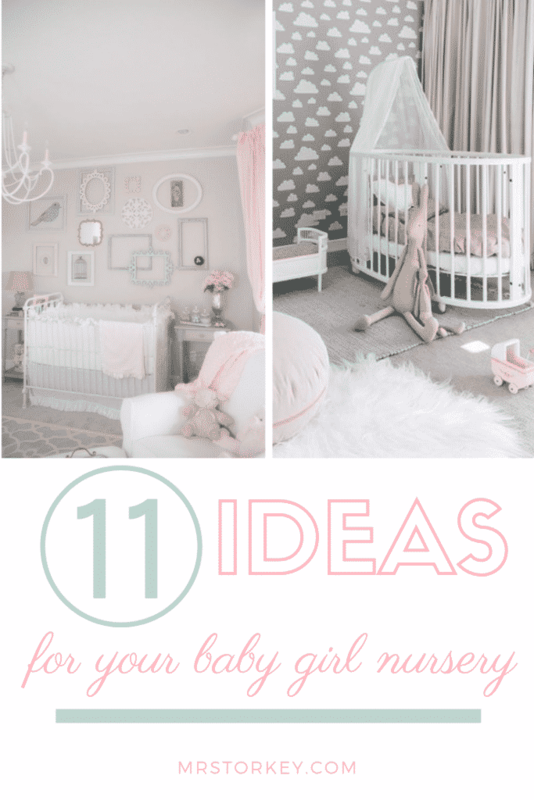 Our 11 baby girl nursery themes that should give you that inspiration that you need to start putting the pieces of your nursery together. Let us know which one your favorite in the comment section was. Did we forget any theme you might like? Let us know.